Infections spread from hand to hand. Effective hand hygiene is one of the most important and, at the same time, easiest means of reducing this risk. CWS offers a wide range of different biodegradable soaps. 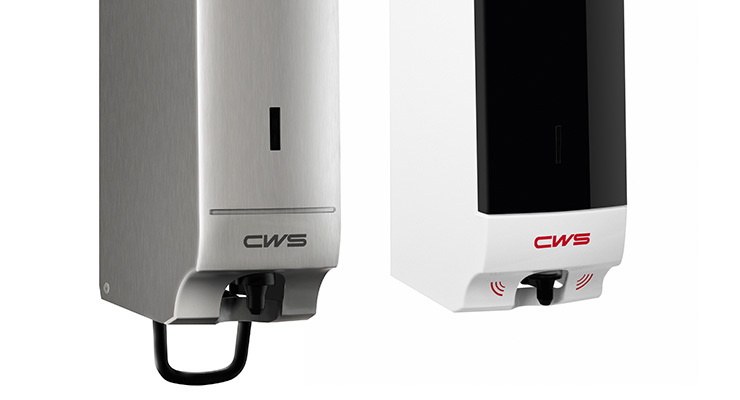 Our resource-saving dispenser systems in attractive designs dovetail perfectly into any washroom. 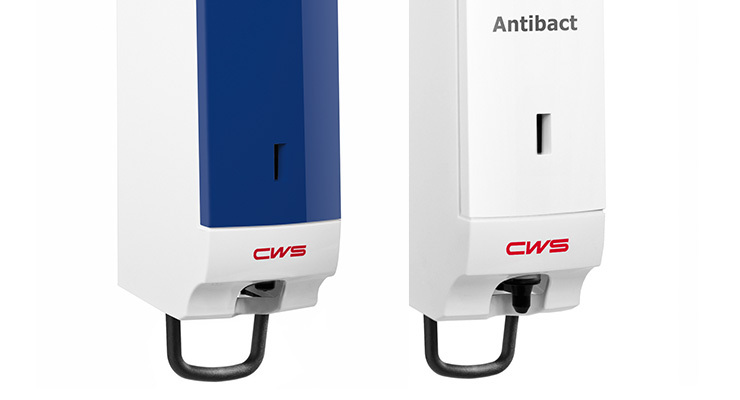 The CWS soap dispensers are available in three versions: foam soap, liquid soap and antibacterial soap. The different soap types are adapted to different requirements. Extra-large versions are also available for areas with high visitor traffic. The dispensers feature a service-friendly fill level indicator and can be refilled quickly via the “Click-in bottle” system. Upside-down bottles ensure the product is completely used up. All the dispensers in the Paradise Line range are also secured with a lock to prevent theft.